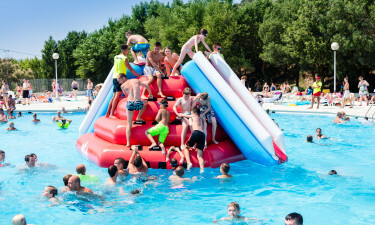 Located upon the tranquil shores of Costa Brava in the Catalonia region of Spain, the holiday camping site at El Delfin Verde offers splendid beaches, natural attractions and a host of on-site activities. Please contact LUX-camp for further details. Why Should I Choose El Delfin Verde as a Luxury Camping Site? Agreeable weather throughout the year. Modern amenities for the entire family. The ability to rent mobile homes. One of the aspects which allows El Delfin Verde to be a truly stunning camping holiday is its proximity to alluring beaches. Nestled upon the shores of the Mediterranean Sea, this holiday camping site is only minutes from pristine sands, azure waters and panoramic coastlines. Activities such as swimming, sailing and surfing are all available within the confines of El Delfin Verde, making camping in luxury and beauty now a reality for the entire family regardless of when the arrive. Weather is always a concern when planning a luxury camping holiday. El Delfin Verde is situated within a region of Spain that is known for its agreeable temperatures throughout the year. Summers are warm and dry while winters tend to be much milder than within the interior of the country. It should also be mentioned that in comparison to southern regions, temperatures here rarely rise above 30ºC. Therefore, visitors can expect to enjoy an agreeable climate regardless throughout the camping season. This sense of luxury camping is enhanced even further thanks to the on-site amenities at El Delfin Verde. Standard features include dedicated power supplies and free wireless Internet. 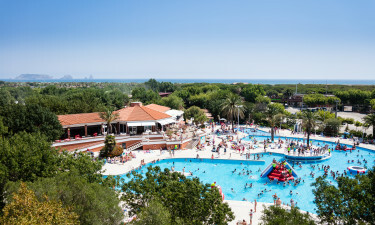 These are complimented by shopping facilities, supermarkets and snack food outlets for those who hope to grab a quick bit before heading out to the beach. So, the need to travel away from the site to encounter certain products or services is no longer a concern. 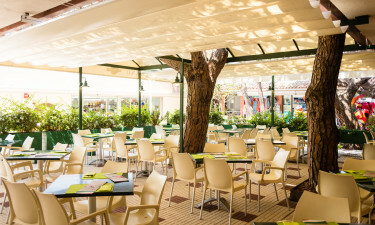 Nearby restaurants will provide a number of unique gastronomic choices for campers. In fact, there are a few different locations to experience. Restaurante Nautilus is the largest within the camp and is perfect for couples, individuals or the entire family. Those who desire a more relaxed atmosphere could instead choose to visit the Beach Bar. Tasty cocktails and small tapas are only moments away. An evening of dancing is made even more enjoyable thanks to a nightclub known as Pirata. Good food and mesmerising music both await. Camping in luxury is further enhanced through the presence of shopping facilities. A large commercial area offers clothing outlets, daily newspapers and a massive supermarket that sells both local and international foods; ideal for those who are looking for a taste of home while abroad. A local bakery is likewise open every day of the week. As with the other services found at this holiday camping site, these features are located only moments away from the nearby mobile homes.